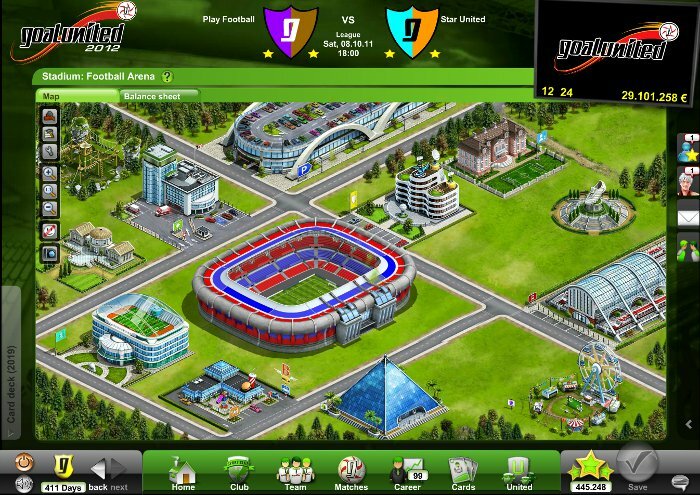 Goal United is a free soccer management browser game published by the makers of Travian. 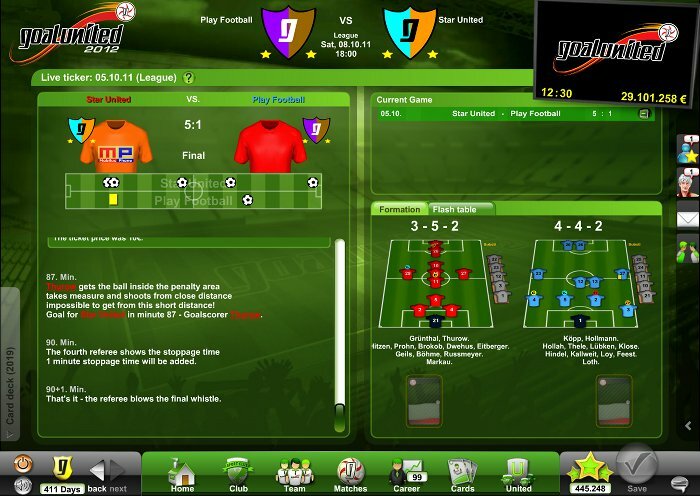 In this football (soccer) simulation game, players can manage their club and take it to the top. 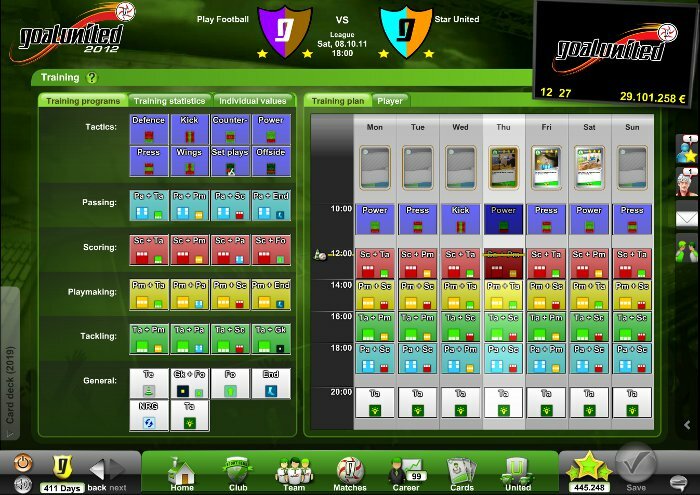 Compete against thousands of other players, decide the strategies and use trading cards to your advantage, and enjoy a simulation with beautiful graphics.